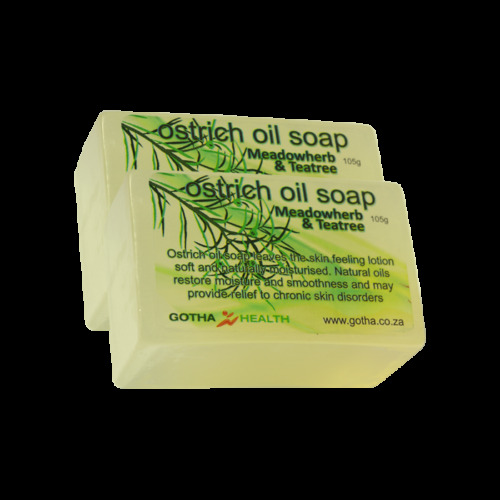 Unlike other soaps, ostrich oil soap will not dry out the skin or clog the pores. Because the composition is so similar to the oils found in human skin, ostrich oil leaves the skin feeling lotion soft and naturally moisturized. The Omega 3 (linolenic), Omega 6 (linoleic) and Omega 9 (oleic) essential fatty acids penetrate deep into the skin providing rapid and long lasting benefits.